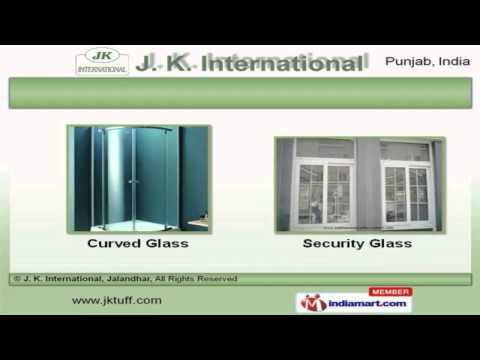 Welcome to J. K. International, Manufacturer and Supplier of Building Glasses. The company was incepted in 2004 at Jalandhar. Our products are applicable in Houses, Shopping Malls, Hospitals and other areas. M.M. Glass and Gobind Glass House are some of our elite clients and we are backed by large production capacity and convenient payment options. We offer a wide array of Bullet Proof, Toughened and Thermal Insulated Glass. Our Curved and Security Glass are best in the industry amongst others. We offer Automotive and Laminated Glass that are in huge demand across the global markets. Solar and Heat Strengthened Glass offered by us are reckoned all over the world for their superb quality. Along with that we offer Curved Glasses for Display Counters that are a class apart. We also provide Toughened Safety Glass for Corporate Buildings that are cost effective.